Body Transformation: DJ Spun The Fat Away! 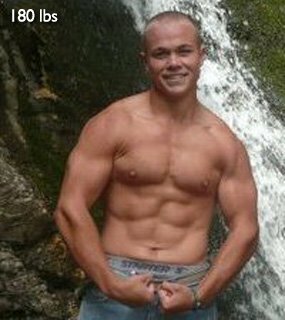 Dropping 17 Body-Fat Points In 2 Years! 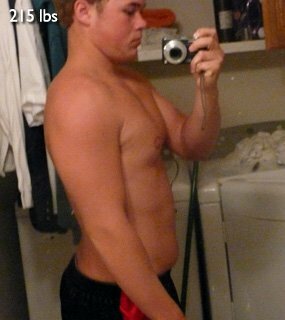 DJ Nuffer was 17 ... and fat. Learn how he took charge and built a beach-ready body. 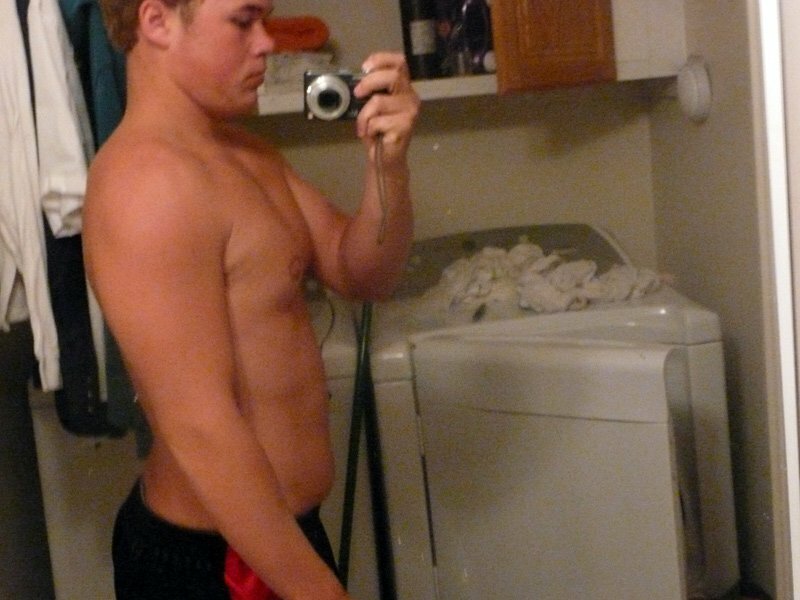 I was playing high school football and was doing powerlifting. I had a good friend who was in top condition, everyone looked up to him and everyone asked him for advice on training, so I asked him for help. I used my high school weight room for most of my workouts or the stadium and football field for conditioning. I started out on a 5-day split workout routine and cardio every day. I started seeing results in about 2 weeks so I stuck with it. 'Nuff said: DJ's 5-day training split split his abs. I was bound and determined to lose the weight so I stuck with a 5-day split work out and a strict diet of lean proteins and whole grain carbs. I brought the intensity every workout! No matter what mood I was in before the gym, my mindset changed as soon as I walked into the door. I knew I had a purpose for being there and I wanted to accomplish that! I stuck with it for a few weeks and started seeing drastic results. I started seeing my abs for the first time in my life! That motivated me to keep going and push through the hard times. Welcome to the six-pack party, yo. What took you so long? I didn't really use a lot of supplements only because I was unaware of them for the most part. About halfway through my transformation my buddy introduced me to whey protein and pre-workout supplements. I really enjoyed the focus and intensity that the pre-workouts brought to my workouts, and I loved the taste and the after affect of the whey protein. I'm not much into supplements, I use the basic whey protein after my work out and I use a pre-workout to intensify the workouts. My diet included 7 small meals per day. I tried to stay away from carbs and stuck with the protein and good fats. I ate every two hours to raise my metabolism and to give me energy throughout the day. My workout was based on a 3-day weight lifting, 3-day cardio split so on Monday, Wednesday, and Friday I would do the workout listed below. On cardio days I run 5-6 miles depending on how I was feeling. While lifting, I rest for only 30 seconds in between sets so that I keep my heart rate up and burn more calories. I also go really slow on all the reps to assure I get perfect form. Keep at it. No matter what happens, if you mess up one day and gorge on food, don't think you have to quit. Get back on it the next day and bring the intensity. You're going to fail at times but the key to winning is to never give up and keep going. Also, no matter how hard it gets, you have to resist the temptations for junk food! Junk food will kill your transformation and keep you held back.